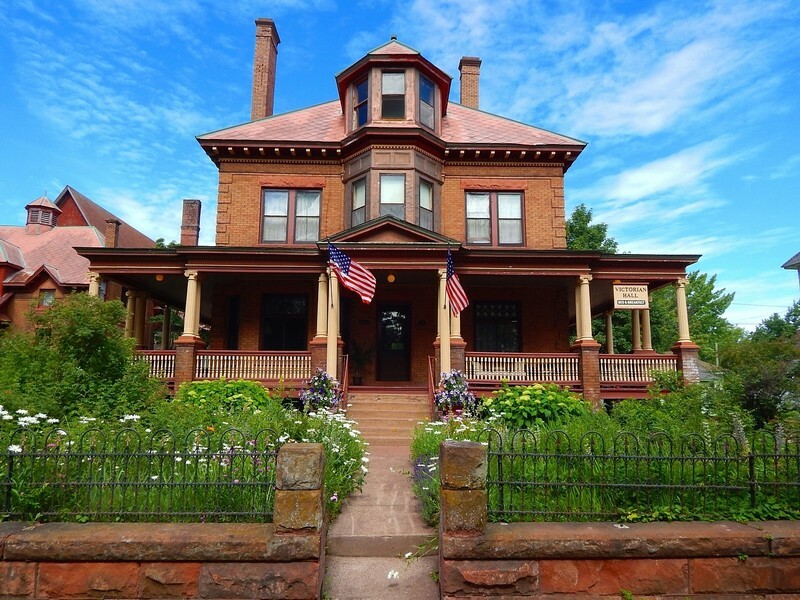 Experience turn-of-the-century elegance in this 34 room brick and sandstone Victorian mansion. 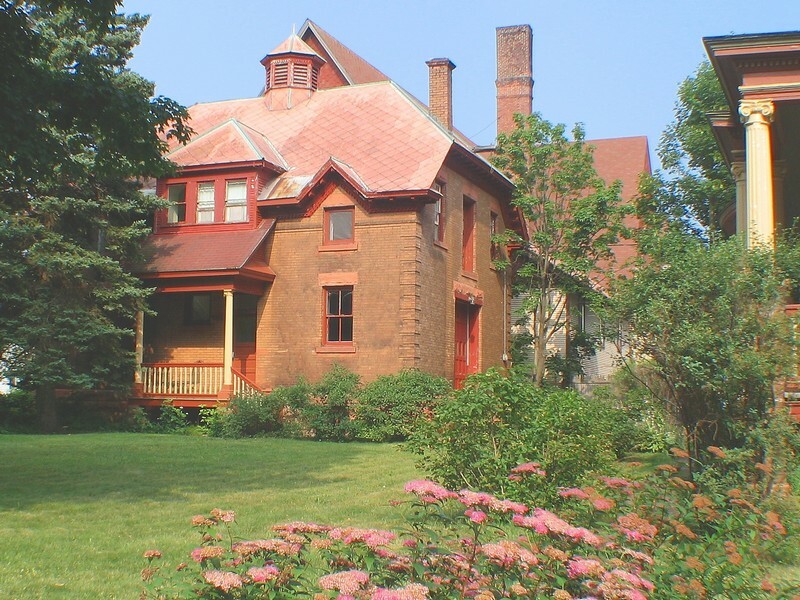 This three story 7000 sq.ft. 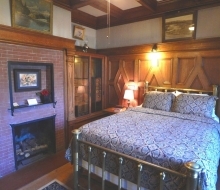 home was built in 1906 for Norman Macdonald, who owned a drug store in Calumet and was a major stockholder in Thomas Hoatson’s Calumet and Arizona Mining Co. 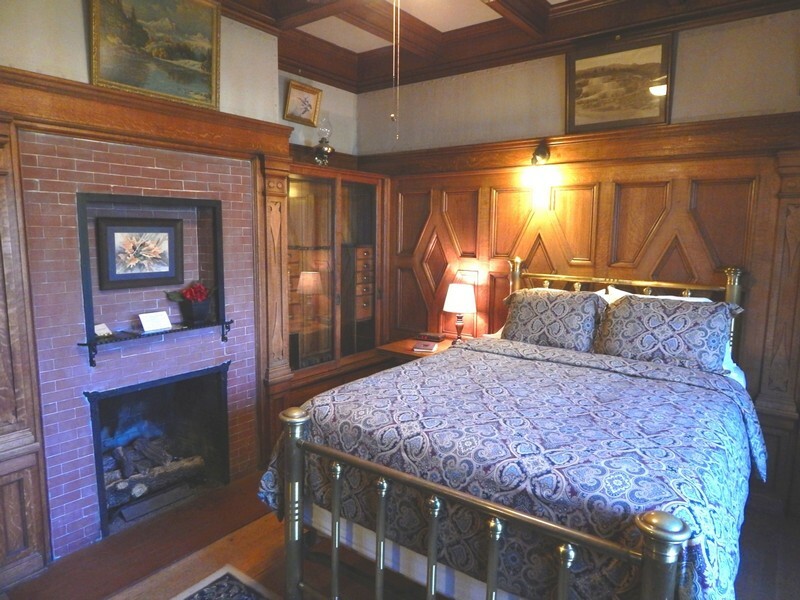 This home has six ornately carved fireplaces, four of which are in the guest rooms, beautiful Tiffany-style stained glass windows and all the elaborate crown mouldings you would expect in a Victorian mansion. 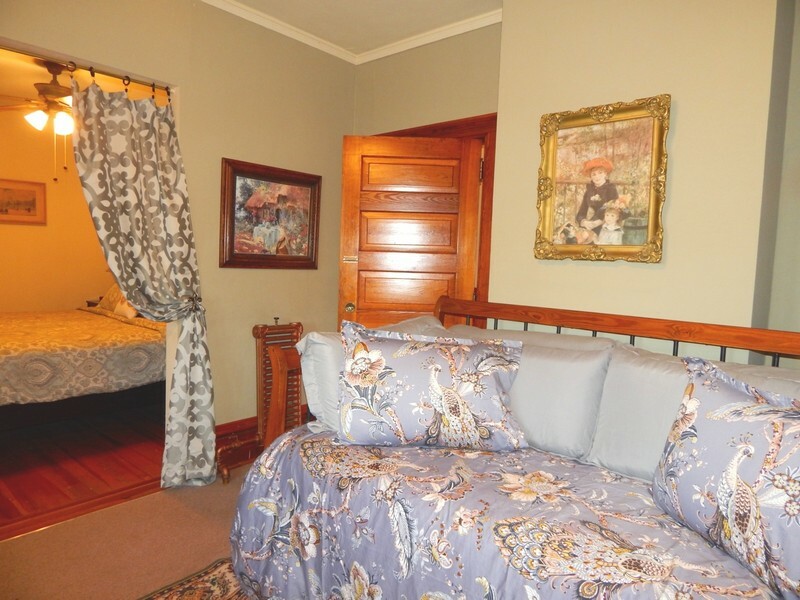 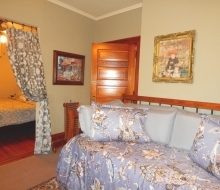 All eight of the guest bedrooms come with private bathrooms and all have a queen or king size bed. 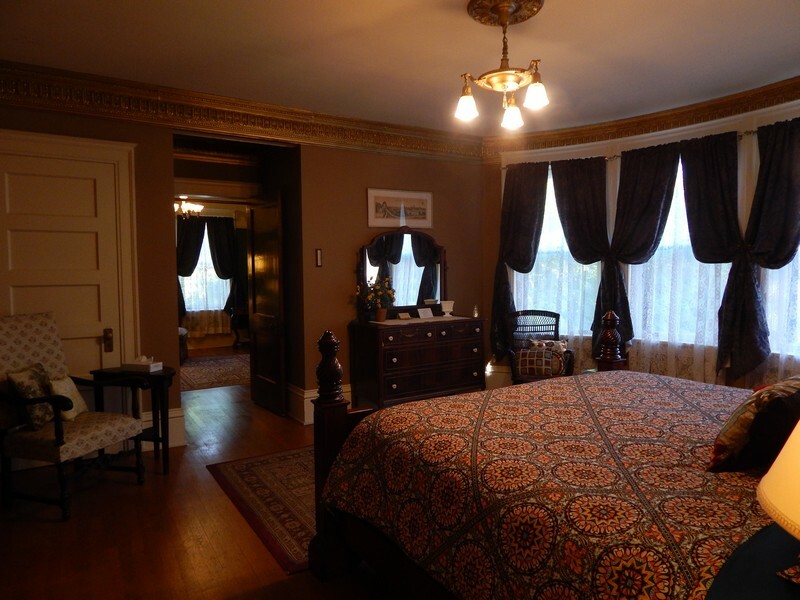 The mansion is furnished in period antiques that reflect the wealth of the Keweenaw’s Copper Country in the early 1900’s. 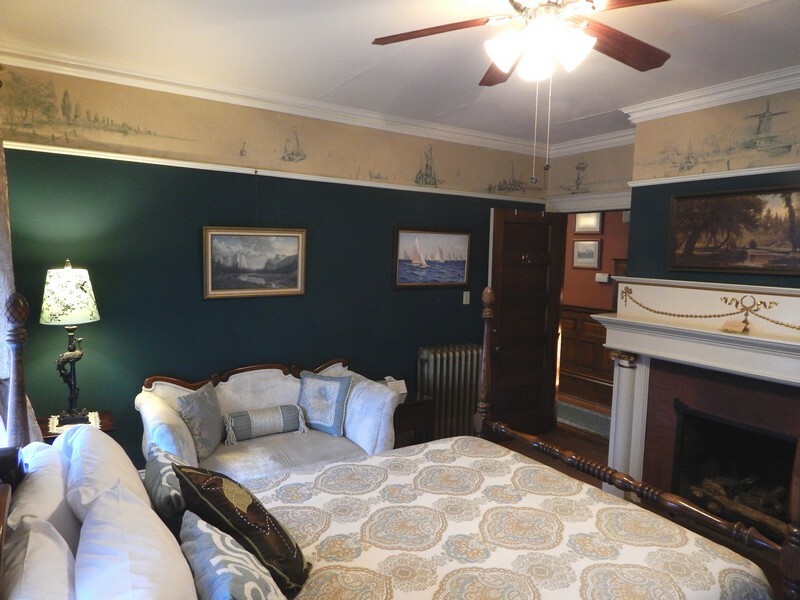 The three common rooms, library, parlor and dining room are always open to guests. 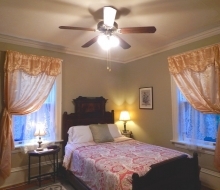 A full buffet breakfast is included and is served across the street at Laurium Manor Inn. 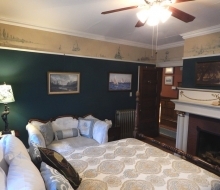 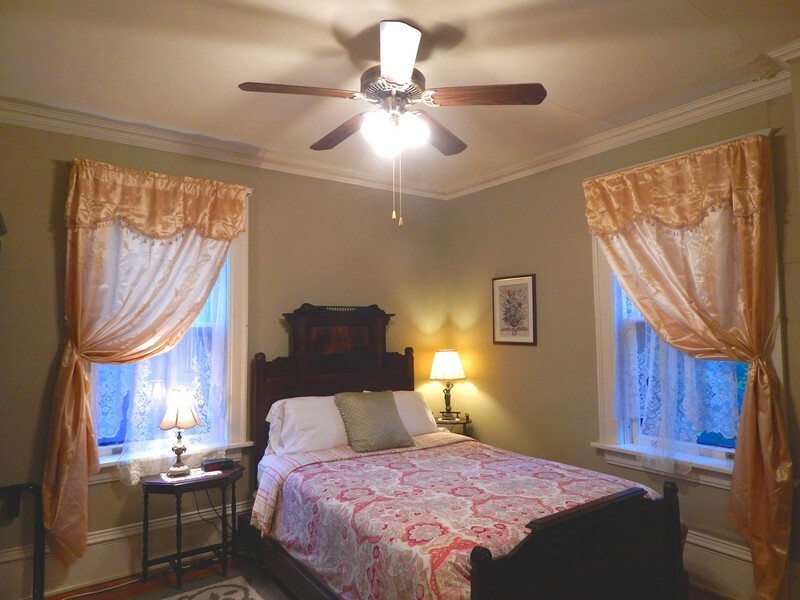 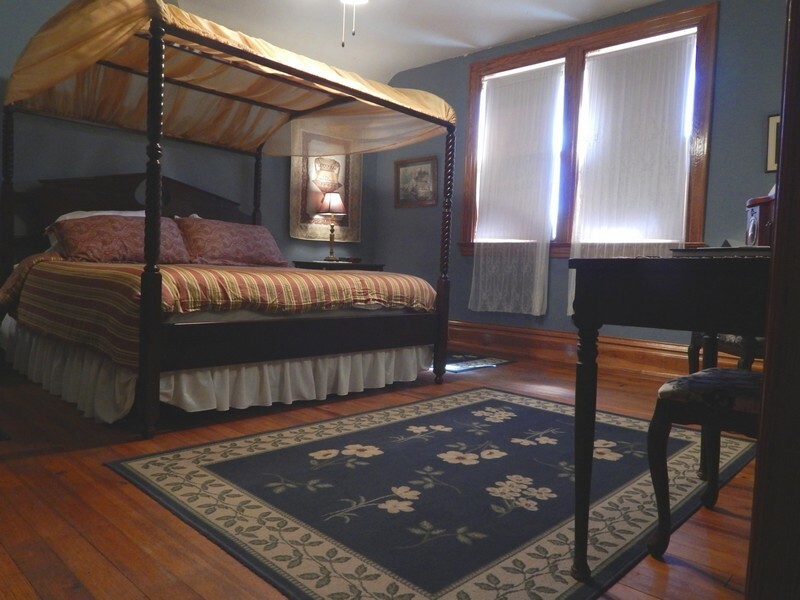 At Victorian Hall you can enjoy the warmth and service of a Bed and Breakfast with the privacy of a hotel at the same time. 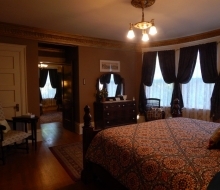 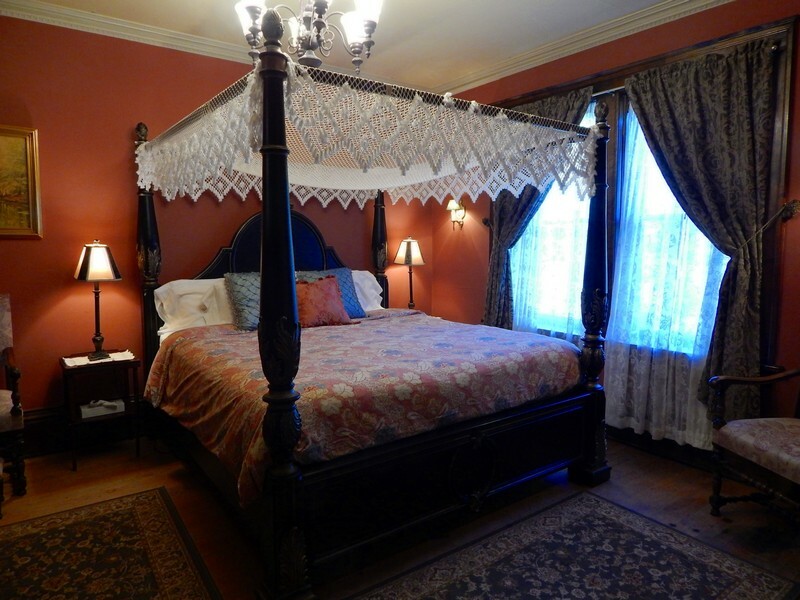 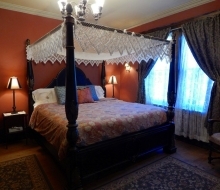 Like the Laurium Manor Inn, this Mansion is located in the heart of the Keweenaw Peninsula. 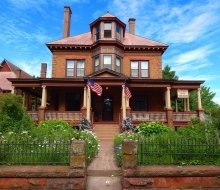 Convenient for exploring Copper Harbor and Houghton-Hancock area. 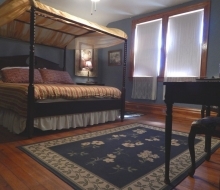 Only 12 miles from Michigan Technological University & Finlandia University. 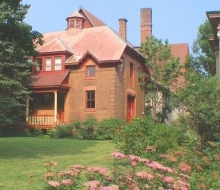 Keweenaw National Historical Park and Calumet Village is 1 mile from Victorian Hall.